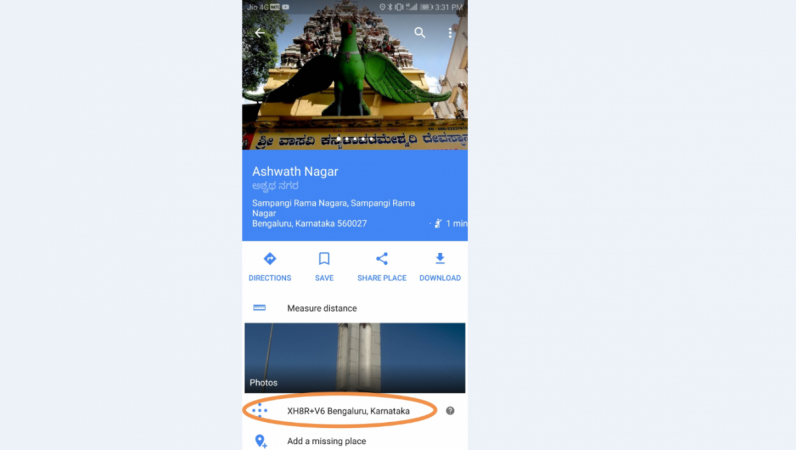 Besides Plus Codes, the Google Maps will now support voice navigation in seven Indian regional languages -- Bengali,Gujarati,Hindi,Kannada,Telugu,Tamil,and Malayalam. Search engine giant Google announced the launch of new 'Plus Codes' feature for the Google Maps in India on March 13. The new Google Maps Plus Codes are likely to end the annoying calls from the delivery guy, who despite having the address, needs to be given the detailed route-direction to your home. "The Plus Codes system is based on dividing the geographical surface of the Earth into tiny 'tiled areas', attributing a unique code to each of them. This code simply comprises a '6-character + City' format that can be generated, shared and searched by anyone -- all that's needed is Google Maps on a smartphone," Google said in a statement. Plus Codes are alphanumeric codes, wherein the first four characters constitute the area code and next four and two characters identify the local area and individual house/business. For instance, you can use the code with a town or city, such as X4HM+3C for Cairo, Egypt, or with an area code, such as 7GXHX4HM+3C. When you're near a place, you don't have to include the area code. For example, you can search for X4HM+3C. Step 1: On your Android phone or tablet, open the Google Maps app. Step 2: Touch and hold a place to drop a pin on Google Maps. Step 3: At the bottom, tap the address or description. Step 4: Scroll down to find the plus code, such as 8439VCW3V+PG or if searched locally, you will see like this: VCW3V+PG [check the screen-shot below]. It has to be noted that Plus Codes aren't available in some countries. Also, you might see a plus code without a town or city. Instead, an area code will be added to the beginning of the plus code, like 7GXHX4HM+3C, says the Goole Maps team. The alphanumeric codes are simple to identify and use them for sharing and searching the address on Google Maps. Plus Codes also work in places that are not mapped. And, they don't use country codes and hence, work in disputed territories as well. 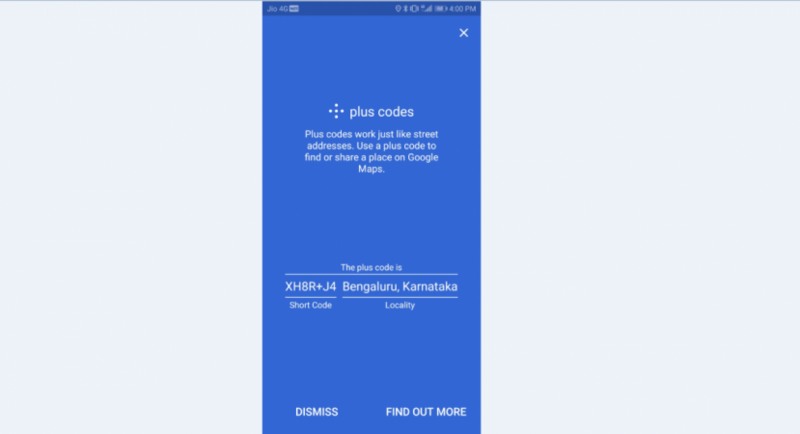 Besides the introduction of the smart Plus Codes feature, the company also announced the addition of voice support for Google Maps in six Indian regional languages—Kannada, Telugu, Tamil, Bengali, Malayalam, Gujarati, and Bengali. The company also added that Google Maps have been updated with Smart Address search feature, wherein it won't give up, even if it is not possible to pinpoint the exact address. It will try to refer other information and piece them together to provide options of landmarks and points of interest that the user can best identify with -- exactly like a person would have done by asking people on the way to a destination. Stay tuned. Follow us @IBTimesIN_Tech on Twitter for the latest news on Google products.